A role model for artists, especially sculptors, the life of 93-year-old Ram Vanji Sutar is a story of fathomless passion, dedication and inspiration. He chose to do realistic sculptures, which happens to be the most difficult streams of art, where one needs to move at a slow pace, perfecting each part relentlessly to achieve the resemblance, the character and most importantly, the personality. 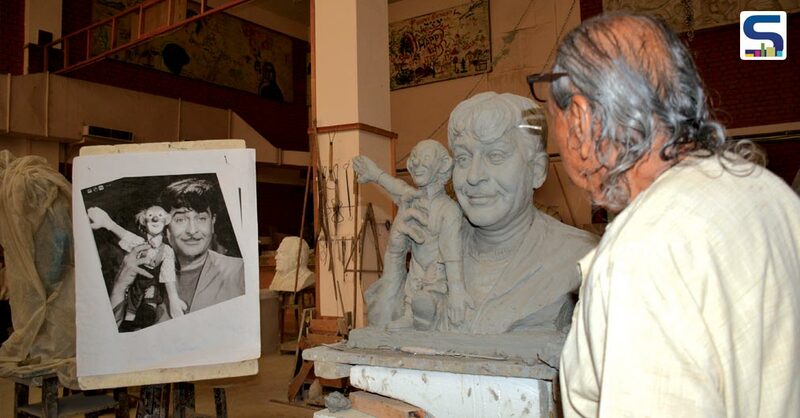 His love for clay has motivated him to work tirelessly in depict the true colours of legendary personalities. In fact, he derives energy from work, says the maestro sculptor of the World’s Tallest Statue, The Statue of Unity, standing tall at 182 metres (597 feet). An accomplished artist & sculptor par excellence, he has created more than fifty monumental sculptures with most notable ones being the statues of Mahatma Gandhi, the Chambal monument, the statue of Maharaja Ranjit Singh, among others. In 1999, he received the Padma Shri and later in 2016 the Padma Bhushan award from the Government of India. 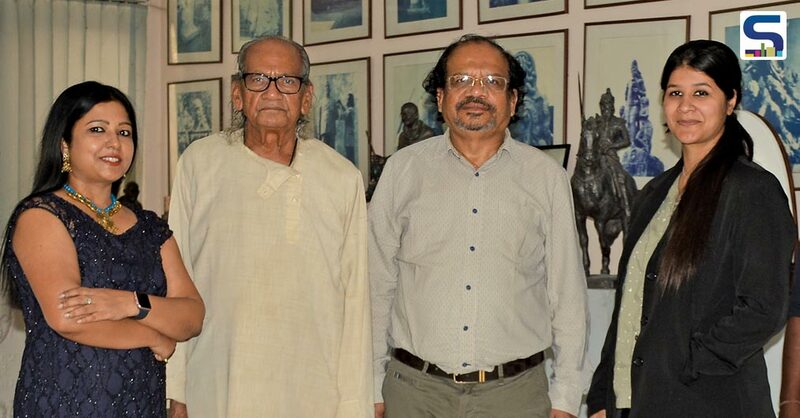 Recently in October 2018, Shri Suthar received the Tagore Award. The team of SURFACES REPORTER met Ram Vanji Sutar and his architect son Anil Ram Sutar to visit their studio and to listen to the stories behind designing the world’s tallest statue. Within a tenure of 60 years, Ram Sutar’s hands have immortalised countless realistic sculptors, including influential personalities like Mahatma Gandhi to Rabindra Nath Tagore, Chattrapati Shivaji and even the World’s Tallest Statue ‘Statue of Unity’. Sculptors these days are not much into realistic stuff as they think it is difficult to commercialise realistic art. My suggestion is to have patience and perfection in this profession and not look for commercialised art from the very beginning. 1. How did your journey as a sculptor begin? Since childhood, I was very fond of drawing sketches and paintings. The teachers used to invite me to draw pictures on the blackboard for their respective subjects. In my village, it was a usual sight to see scorpions around. One fine day I dared to kill a scorpion. Since the colour of washing soap (501) resembled the colour of the scorpion, so I decided to carve out its structure, which almost looked real. My teachers were highly impressed and were left speechless of experiencing such a skill from a mere 10-year-old boy. Apparently, that was my first ever sculptured figurine. Being a Gandhian disciple, I remember working even for free just to showcase my talent. I used to randomly go to anyone’s house and make their portraits. In the Gandhi Ashram, I had gifted a statue of Gandhi to my friend as a memoir. 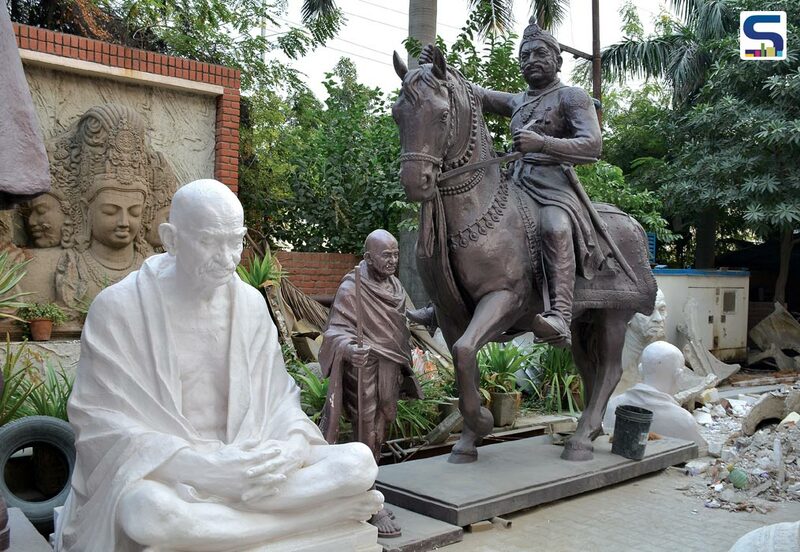 So after 40 years, Nitish Kumar ji saw that statue and wished to get a similar statue made in Patna. 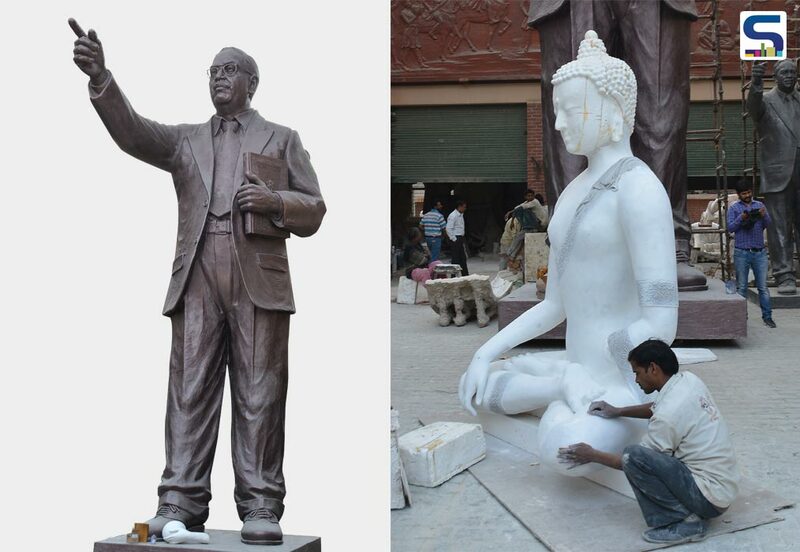 As a result, Nitishji demanded a similar statue of 40 feet in height. Likewise, my passion to continue working with or without money, but with great devotion towards this, has led me to one project after another. 2. What led you to the project of sculpting the world’s tallest statue? There was a statue of Sardar Patel installed at Ahmadabad airport which was liked by our Prime Minister Shri Narendra Modi. They asked for our permission to use a similar statue in its enlarged form, to which we readily agreed. Initially, they engaged an American architect for this project. Later they decided to survey people’s opinion about this project and how they projected the figure to be appropriate. So they involved a historian from the University of Pennsylvania. 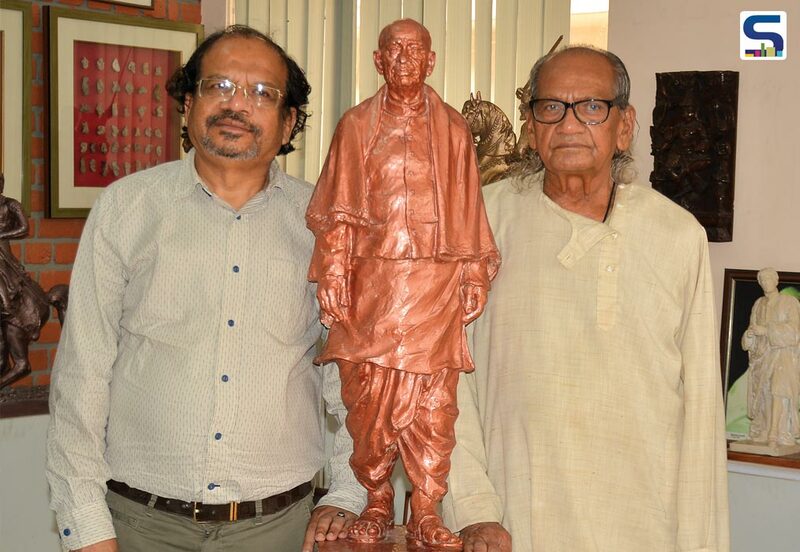 He was asked to review all statues of Sardar Patel until now in India to choose the best and fortunately, the one made by me was chosen as the best and the most appropriate of all. Post that, all those who were filling the tender document, approached me as they wished to work with me because it was selected as the best one. So Larsen & Turbo (L&T) came first; I and my son, Anil Sutar, began working with them. 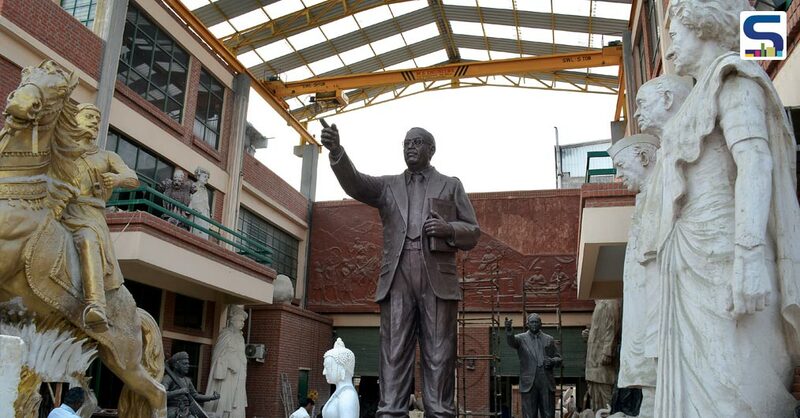 Initially, we made 3 ft statue for the government’s approval post which we designed an 18 ft statue. Then it was suggested by the government the same. With more refinement, we then came up with a 30 ft statue which eventually gave birth to a 522 ft statue. Having laid the foundation in 2014, its completion took a bare minimum of 3.5- 4 years before its actual completion. Ram Sutar’s studio in Noida (top) encloses an area of 2,000 sq mt. One side is more like a museum with miniatures of statues created so far. It is a great delight to visit the studio. The other side including the exteriors (shown below) is used for model making and sculpting. 3. How did you develop an interest in learning the art of sculpting? As a carpenter, you tend to use the hammer and at that time I was unaware of bronze and brass sort of materials. I just used to work with my father while doing certain activities which also involved a similar process of making sculptures. I used to see my father making idols from both, wood and iron, door locks, etc. Also as a kid, I was more close to my mother and she always used to take me a long while going to wash clothes along river banks. There I used to take clay pieces along and started making various objects with clay. 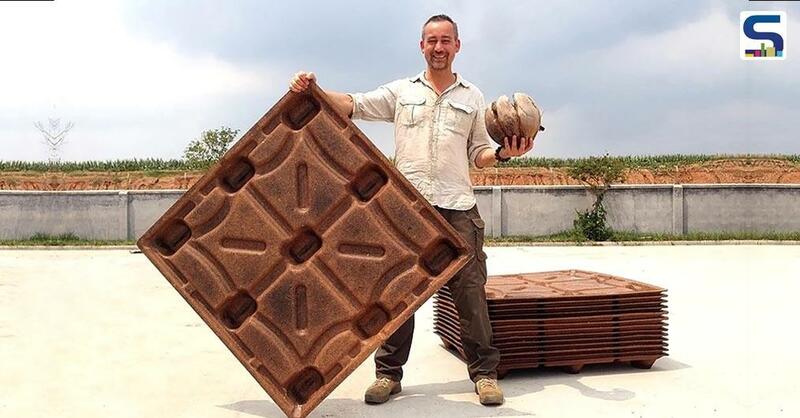 So, the quality of working as a carpenter helped me use different types of equipment. Then while working with clay, I began sculpting. 4. How has been your experience of working together with your son all these years? Well, Anil has been really close to me since he was a kid. Whenever I had built a statue, I always used to take him along with me and asked him as to how did he like my creation and his feedbacks did matter to me. And when he became a full-fledged architect, I remember he wanted me to go to the US and stay with him. I also know that I was the sole reason for his coming back to India as he knew I was feeling lonely and left out without him. So, basically since the beginning, we were more friends than living like father and son. We openly used to discuss our problems and were even open to criticisms from each other. Today I proudly whose engineering & architecture expertise, I wouldn’t have been able to fulfil my vision of building the world’s tallest sculpture. 5. Anil, please narrate the early life incident wherein your father expressed the wish to sculpt the tallest statue someday. 6. Which engineering company did the structural work for Statue of Unity? the cost of making such a huge statue, how the parts are to be made and molded, etc. The best part was that the information provided by us was accepted by them. They found our methods relevant. The technology used was similar to ours. 7. Tell us about the challenges faced while constructing such a huge structure which today's has been termed as an engineering and creative marvel. 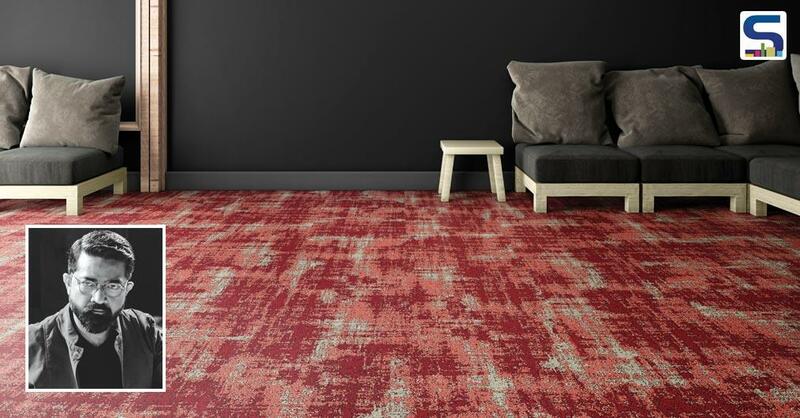 As per L&T, the characteristic components like breeze and seismic tremors posed great challenges. Situated right amidst the waterway of river Narmada, the statue is exposed to the passage impact of winds blowing down the stream. Investigations of twist designs throughout the year uncovered breeze speed of 130 km/hr which has the capacity to buffet the statue with dire consequences. The statue has been built to withstand twist rates of up to 50 m for each second (just about 180 km/hr). The challenge isn’t only of the wind blowing against the statue but the succession effect it creates at the back of the statue that had to be considered in the structural design. The Statue of Unity can likewise endure quakes measuring up to 6.5 on the Richter scale, at a profundity of 10 km and inside a span of 12 km of the statue. Another challenge came in the form of the look of the statue. Since Patel’s face was an important aspect, special care was taken in casting the facial features that had to resemble as close as possible. The original design, the statue was to have a poised countenance, with Sardar Patel’s head, held high and arms by his sides emitting a feeling of power as well as warmth. The statue was also supposed to appear as if it is walking on water, towards the Sardar Sarovar dam, with his left leg slightly forward. The actual features of Sardar Vallabhbhai Patel were decided through a participative exercise involving thousands of people. A mock-up was created and exhibited for people to see and comment on it. 8. How has the Indian government credited your works so far? I have won the most prestigious Padma Bhushan award in 2016 and Padma Shree in 1999 bestowed by the Indian government, amongst many others in the list. 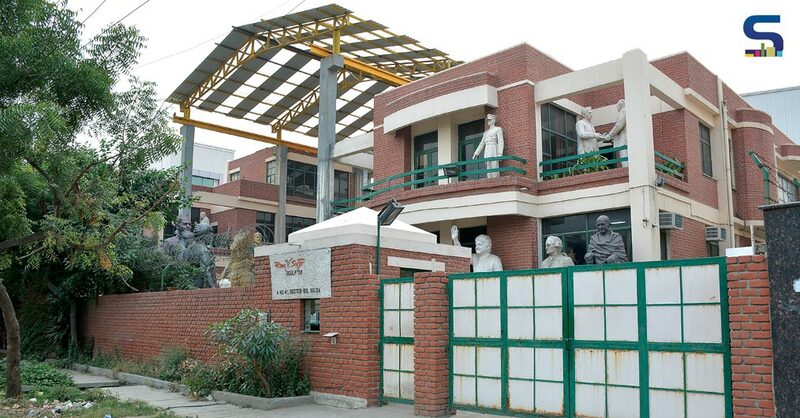 Today, I and my son own India’s largest foundry and studio space that spans across an area of 8,000 sq mt. and has a capacity of 10,000 kg casting per day. They are located in Sahibabad, Ghaziabad. Named Ram Sutar Art Creations and Ram Sutar Fine Arts, these studios are credited for creating some of the biggest monumental sculptures in the country. Our personal studio encloses an area of 2,000 sq mt in Noida. 9. What is your message for budding artists in the field of sculpting? Sculptors these days are not much into realistic stuff as they think it is difficult to commercialize realistic art. They are taught to have bent toward modern art of which they are themselves unaware as to what they are making. But still, they want to sell it in name of modern art and want to earn overnight. So my suggestion is to have patience and perfection in this profession and not look for commercialized art from the very beginning. 10. Tell us about your upcoming projects. 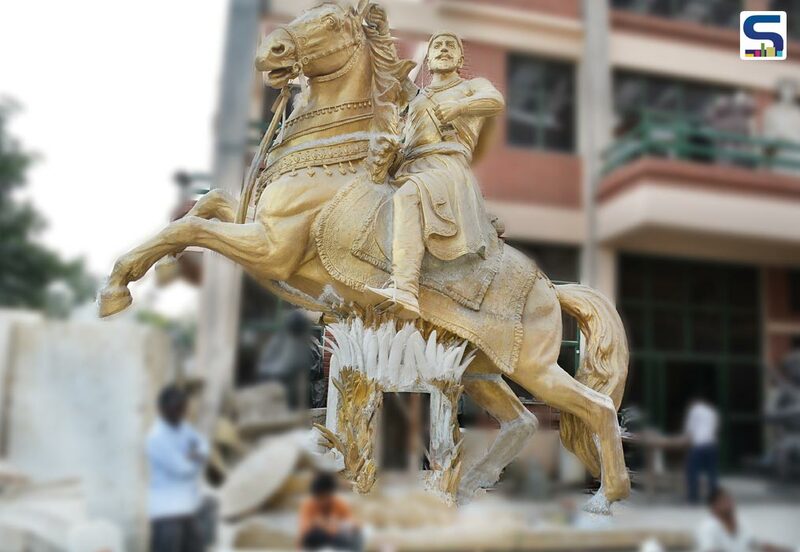 Going ahead, Maharashtra Government has announced Chattrapati Shivaji’s statue on horseback, for Mumbai airport. 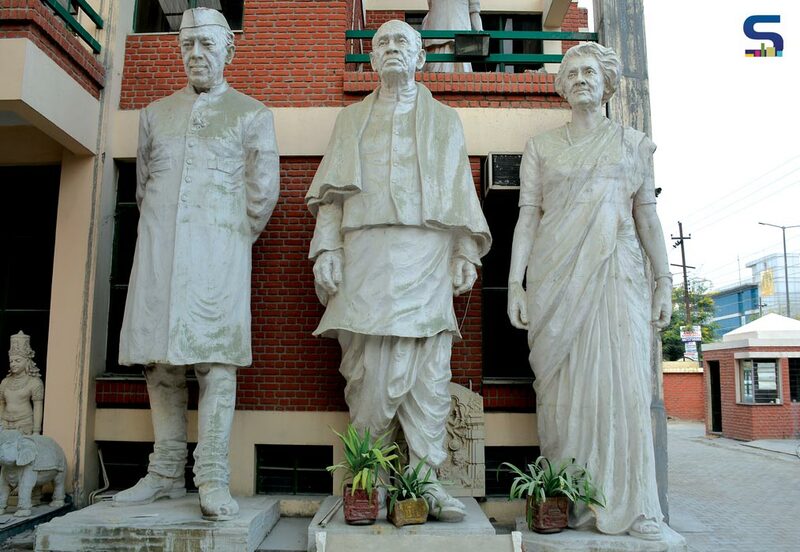 We have made some models for the proposal and are now working on building a bigger statue than the Statue of Unity. This structural system requires making this statue to stand against the wind pressures in the Arabian Sea. Ram V. Sutar was born on 19 February 1925 in a small Village- Gondur, around 3 Km from Dhule where his carpenter family lived. They had a small agricultural land to produce wheat, rice, millet, corn and the carpentry workshop was in the house. Joshi Guruji had a major contribution in moulding Ram Sutar into a great sculptor. It seemed like destiny had brought both of them together so that an artist with inborn talent would get a due reward for his efforts. Shivaji Maharaj. The teachers and his school-mates saw his work and were awestruck with the fine piece of work created by him. The entire school praised for his accomplishment. During his early life struggles, as he moved from one place to another to study and continue his passion for working as a sculptor. Fortunately, he met Shriram Krishna Joshi, a person to whom he could look up to as his Guruji. Ram Sutar started making steady progress in the field of painting under guidance and encouragement of Joshi Guruji. It seemed like destiny had brought both of them together so that an artist with inborn talent would get a due reward for his efforts. Shriram Krishna Joshiji knew about Bombay Art Society, which conducted exhibitions and to encourage budding artists it gave awards to the best entries. He submitted the relief of ‘Shivaji and Bhawani’ carved by Ram Sutar. The entry was adjudged as a brilliant piece of art and awarded a Silver Medal. That was the first award he won for his artwork. Joshi Guruji had a major contribution in moulding Ram Sutar into a great sculptor. Joining the J J School of Art was one of the turning points in Ram Sutar’s life as he landed into his professional career. He was the first youngster from the community of Vishwakarma (Carpenters)to acquire higher education in sculpture. His Guru continued the support both through knowledge and financially. Ram Sutar enjoyed his college days, and he found that whatever was taught in the college was nothing new as he had already made sculptures, he knew about waste moulding, plaster cast and piece moulding too. "We repeat, a true role model for artists & sculptors, the life of 93 year old Ram Vanji Sutar is a story of fathomless passion, dedication and inspiration." In the year 1954, Ram Sutar got employment with the Archaeological Survey of India at Ellora Caves situated near Ellora village. He restored all the broken Stone Sculptures at Ellora. His basic duty was to understand the style of art of the broken sculptures and repair them by using cement and concrete to make them look original. Later he joined DAVP (Directorate of Audio Visual Publicity) in Delhi as a modeller. That very year an Agriculture fair was to be held at Exhibition Ground (now Pragati Maidan). The director saw his work and asked Ram Sutar to make two new models suitable for the Main Entrance Gate. The Agricultural Fair was the biggest attraction for people of Delhi and thousands thronged to see it including Sri S K Joglekar, the Chief Architect, CPWD. He invited him to work on replacing the Symbols, Motifs installed in the Government buildings and asked him to prepare two Ashoka Lions in red sandstone, approximately 7 feet high to replace the British court of Arms on the wall of North Block. By then, he had left the DAVP job and became a full-time sculptor. Rest of his work is history as he petrified the personalities of so many legends one by one, also fulfilling his dream of sculpting the world’s tallest, The Iron Man of India, Sardar Patel.